The Letpadaung Copper Mine Project is a nexus of social conflict due to abuses of power, human right violations, lack of social justice, and the limited participation of stakeholders. Locals have protested against the project with the support of civil society organizations and environmental groups. There has been a lot of controversy, and hence, it has gained a lot of national and international media attention. This volume seeks to describe the reality of what is happening in the Letpadaung area to understand the possibilities for public participation in development project decision-making in Myanmar. Public participation is a democratic practice that makes it possible for people from different sectors to integrate their opinions into decision-making. 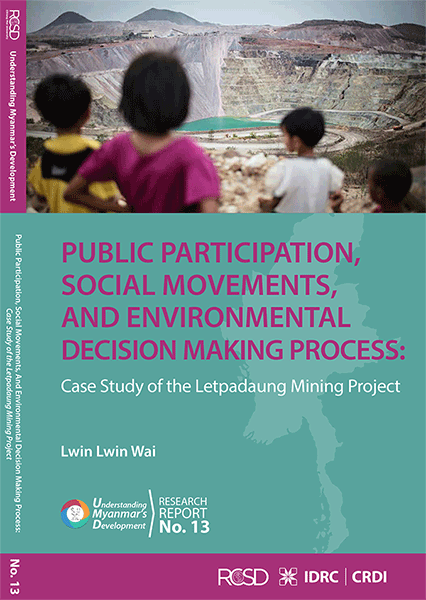 This research attempts to find what role public participations play in decision making about development in Myanmar—specifically at the Letpadaung Copper Mine. 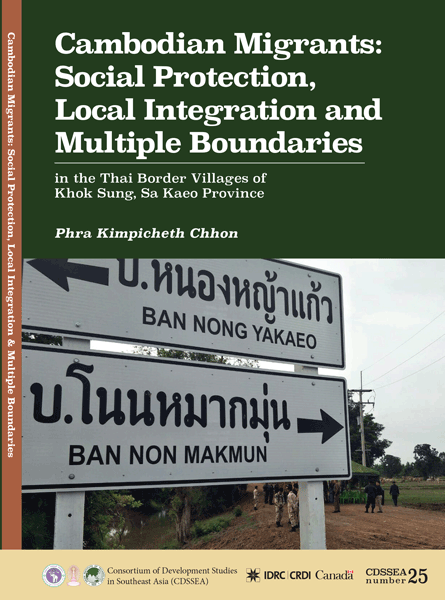 This research examines the local integration and social protections of Cambodian migrants in the Thai border villages of Khok Sung district, Sa Kaeo province. Migrants negotiate multiple boundaries—physical, social and legal—to gain integration, acceptance, and social protection. Extensive interviews with more than one hundred interviewees and key informants in different villages reveal how livelihoods, attitudes and perceptions of migrants and local citizens both enable and limit social protection for migrants; from local collective practice to state-based mechanisms. 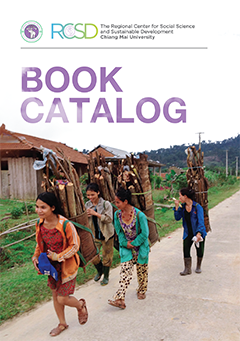 This book focuses on the work of the Baptist Church in Chin State, in North East Burma, adjacent to India and Bangladesh. TheChin people, like Burma’s other ethnic minorities, have fared badly under Burmese military government. They also have religious minority status, being 90% Christian in a predominantly Buddhist society. In 2012 the churches brokered a peace agreement between the nationalists and the government, which still holds. 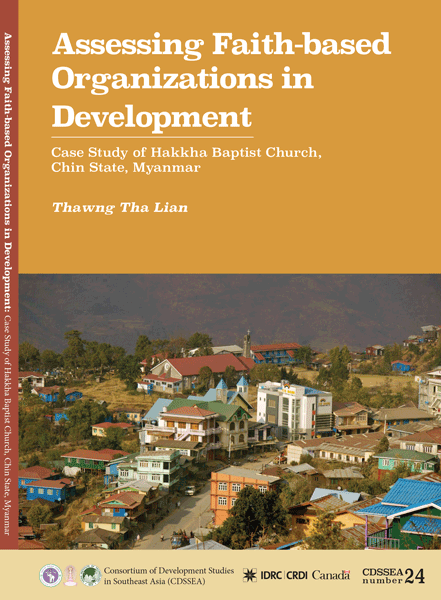 Social development in Chin State is almost entirely in the hands of church organizations. 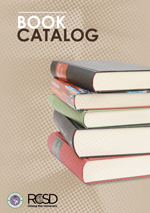 The Baptist Church, as the largest such organization, has played a major role, in particular in the field of education. 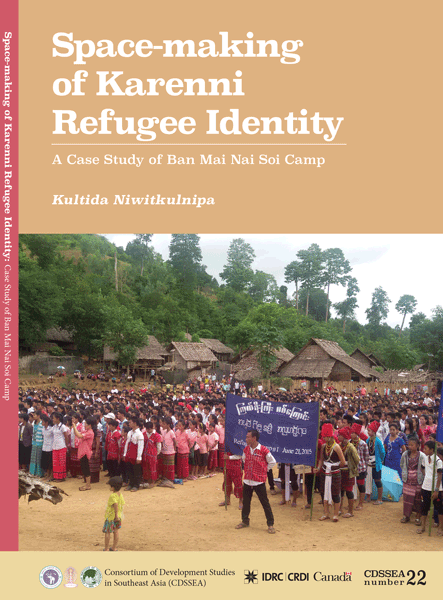 This research analyzes how Karenni refugees of Ban Mai Nai Soi camp continually engage as actors to create space of identity and community through communal events. Despite their confinement—where Karenni refugees are not recognized by neither host country nor country of origin—Karenni refugees continually create spaces of nationalist and ethnic identity. In articulating their sense of belonging, Karenni refugees work hard to maintain traditional practices by recreating sacred symbols, rituals, and dancing performances which they traditionally practiced in the past. 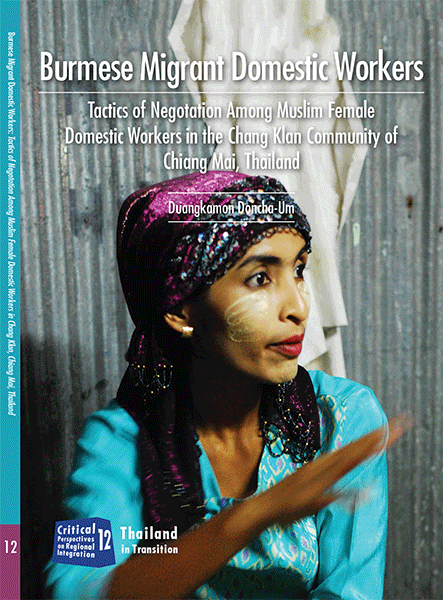 Burmese Muslim female migrant domestic workers seek to transform their vulnerable, marginalized identities as Burmese (race), Muslims (religion), migrants (migration status), domestic workers (class), and women (gender) into social capital via various tactics of negotiation in the community in which they have resettled. Although subject to exploitation from employers and the Thai state, they are not passive victims. Despite their “weak” position in an inequal structure, they use tactics of negotiation to further their goals of upward mobility. This research studies the development of the Burmese-Nepali “Gorkhali” community in urban Chiang Mai, focusing on the cultural orientation they brought from both Burma and Nepal and which they have retained since migrating to Thailand. The community has a diasporic identity, reflected in the lives of twice-migrant Nepalis. The interest and focus in this study is the cultural representation of Nepali identity that conceptually situates the Burmese-Nepali as a Nepali diaspora in Thailand. In this research, Mrinalini Rai examines the narratives and perceptions of the Burmese-Nepalis in Chiang Mai, in order to further develop the notion of diaspora, and to build a greater understanding of the complex dynamics and processes that lead to migration, and in particular the dispersion of the Nepalis from Nepal. 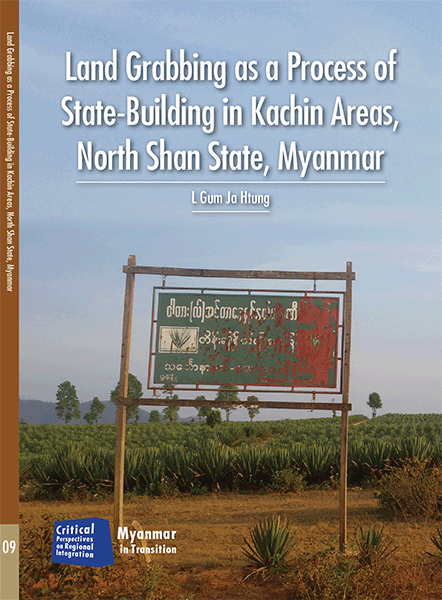 L Gum Ja Htung takes a comprehensive look at how large-scale land concessions in Kachin areas of north Shan State in Myanmar impact and are responded to by local people. Through careful analysis of the history of conflict in Myanma, he shows how economic development projects in this area rarely deliver what they promise and instead can be interpreted as a state-building strategy by the central government to gain access and control in ethnic conflict zones through land grabbing. 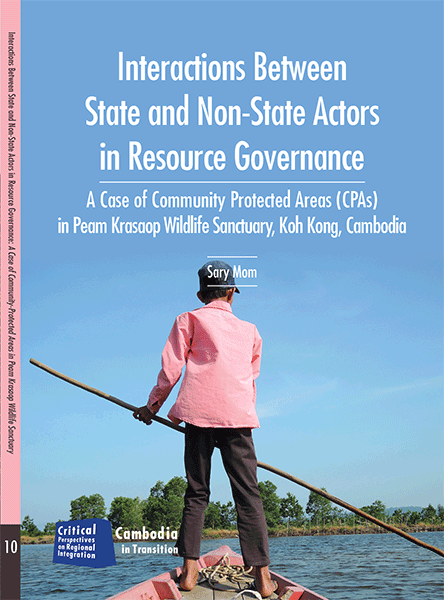 This insider perspective offers a fascinating assessment of how diverse actors have collaborated to successfully resist government plans for a 600,000 acres biofuel plantation crossing Muse and Lashio Districts. Tourism development has emerged as a new source of income for many rural communities throughout Thailand. 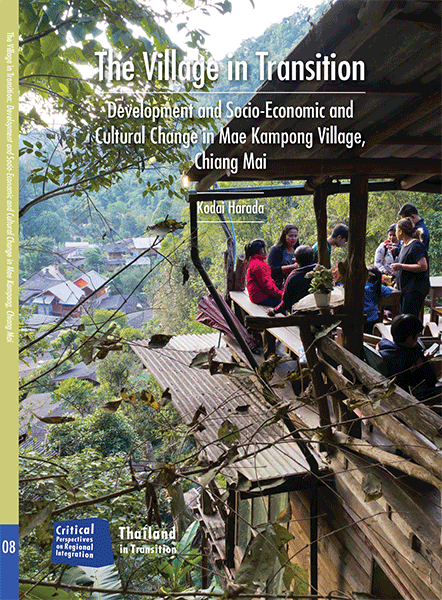 This study investigates the development of tourism and the resulting socio-economic and cultural changes in a rural Northern Thai village—Mae Kampong, Chiang Mai—once known as a producers of Mieng (fermented tea product), recognized as a key element of the community’s culture. The study argues for the role of Mieng production as a mainstay of village livelihood amidst the changes brought by tourism development. The continued vitality of Mieng culture in Mae Kampong shows how villagers have mobilized it for their livelihood survival and adapted to change in the social relations of Mae Kampong. 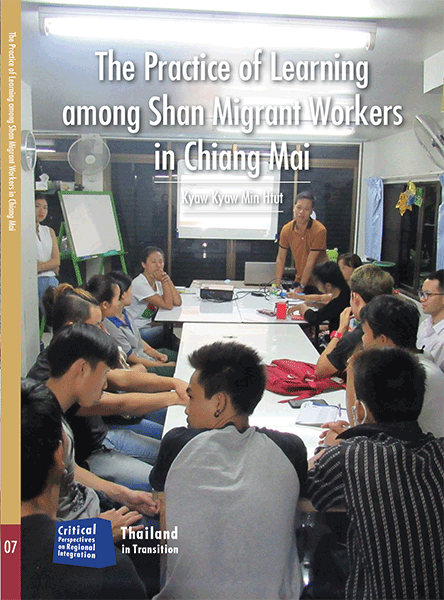 Chiang Mai hosts a large population of immigrant workers from Myanmar, the majority of them Shan (Thai Yai). Learning is essential to establishing their new lives and social networks in Thailand. Most of them have had only elementary education in Burma. They have to learn to speak, read, and write Thai. Many also take advantage of educational facilities available in Thailand to study English, other languages, computer science, and vocational courses. Some aspire to higher education; others put their new-found learning to use in Burma, or to improve their work status in Thailand. The writer stresses the importance of non-institutional learning, eg practicing Thai with neighbours and at work; learning new skills at work; learning about Thai culture from personal interactions and the media – TV, radio, journals.